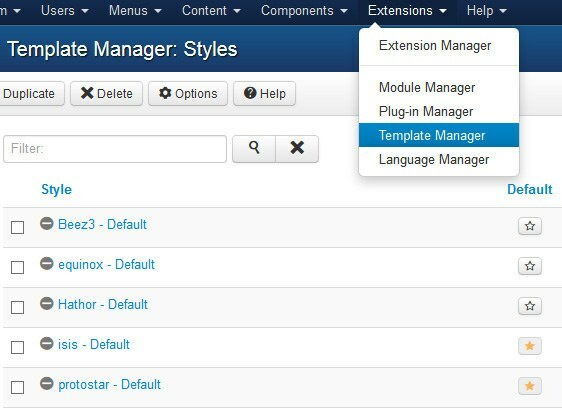 All the templates we have developed at the website for Joomla include support for a number of collapsible module positions which allows you to publish, position and display content at your website within the module positions you create at your website. 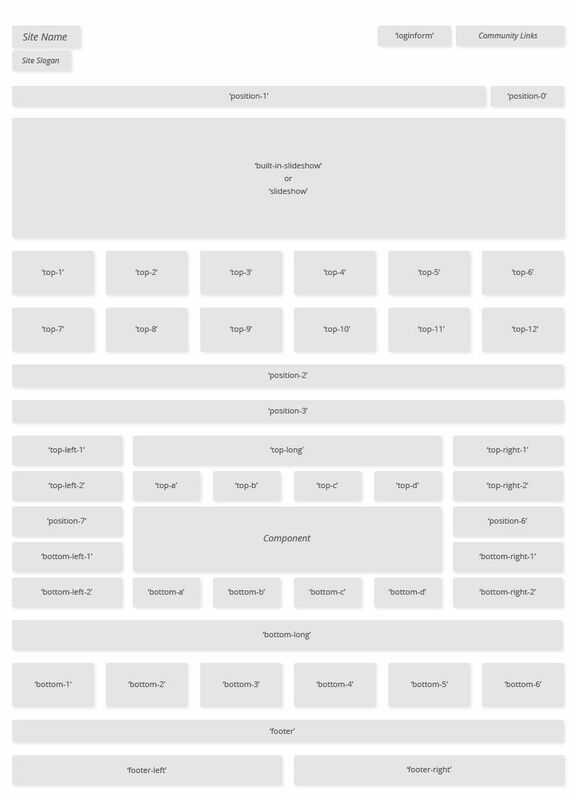 You can use the module positions included in the template for the following. Built in default modules which comes supplied with Joomla including menus, latest news, user log in, search, RSS Feeds, news flash and much more. A number of the designs we have created at the website come with a built-in slideshow. The slideshow makes use of the custom HTML module positions to give you more control and flexibility over where the slides appear at your site. All the Joomla templates available for download at the website support the following standard module positions as show in the screen shot below. The following information will provide you with more information about each module position show in the above screen shot. Position-2 and position-3 can be used to display custom content, images or welcome text. Component is used to display all the content you create and publish to your website. You can also view the module positions the template supports using the following methods noted below. Note: after you have previewed the module positions and taken a screen shot of them it is recommended that you disable the module positions preview option at your website.